Listening to, acknowledging and appreciating your concerns. Identifying and treating the cause of your sleep-disorder or jaw joint pain and dysfunction (not just your symptoms). Explaining your treatment options and providing effective, non-surgical therapies that work with your lifestyle. Achieving the results you need to be pain free, smile again and live your life to its fullest. A general dentist with advanced education and training in managing sleep disorders (i.e., snoring and Obstructive Sleep Apnea); head, neck and facial pain; and TMJ disorders, Dr. Bailey has successfully completed certification requirements specified by the American Board of Dental Sleep Medicine, American Board of Craniofacial Pain and the American Academy of Pain Management. She also completes continuing dental education courses focused on the elements of dentistry related to sleep-disordered breathing, jaw joint pain and dysfunction, and craniofacial pain each year. These are just some if the things she does to ensure that each patient experiences high quality care and, most importantly, attains optimal results from treatment in our office. Dr. Bailey also uses state-of-the-art technology and equipment including tomography, TENs, syringe-less injections, pharyngometer and rhinometer to properly evaluate, diagnose and treat each patient. She and her team are truly at the forefront of dental care, providing treatments for managing sleep and TMJ disorders that you won’t find at other dental offices. Have a question? Please call us at (304) 757-7428. It is our privilege to guide you on the path to health and wellness. 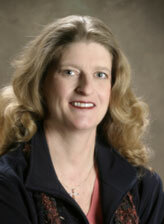 To share her knowledge, Dr. Bailey does radio interviews on topics related to dental sleep TMJ disorders. Click here to listen and learn. Check back often; new broadcasts are added regularly. Sleep apnea often goes undiagnosed. A family member or bed partner might be the first to notice the signs. For more educational videos on sleep and TMJ disorders, click here. ”The American Board of Dental Sleep Medicine congratulates Jeanne Bailey, DDS, on fulfilling the high standards required to receive certification through the ABDSM.” Read more. © Copyright 2013, Jeanne K. Bailey, DDS.